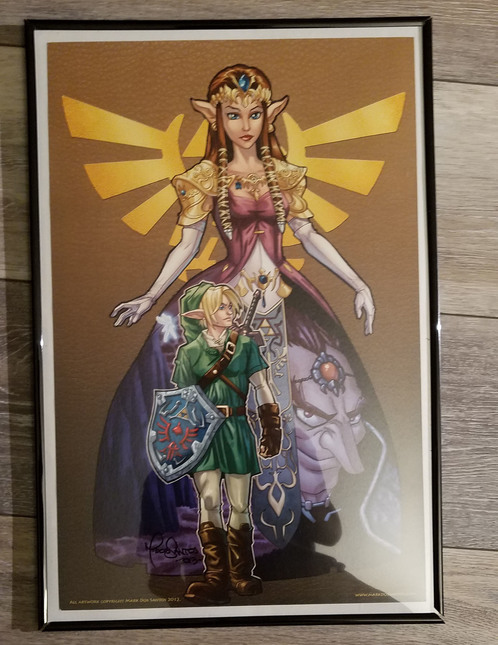 Zelda Fanart Poster with Frame - Wall Art - Anime Market: Buy and Sell Manga, Anime and More! This Zelda fanart print is by artist Mark Dos Santos from 2012. Frame will be included!